FOR nearly two decades, Anda Union has been bringing the best of Mongolian musical traditions to the forefront in the modern world of the arts and blending it with the members’ own individual styles and backgrounds to create something truly singular. Known to describe themselves as “musical gatherers,” the band is truly a fusion of traditions from both Inner and Outer Mongolia. 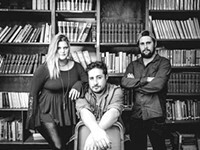 Their captivating sound is something manager Tim Pearce is intimately familiar with, as he’s spent the last 13 years with them while they travel all over the world with their critically-acclaimed work. “The Mongolians are actually made up of lots of different tribes,” Pearce tells Connect. 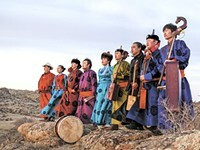 The members of Anda Union not only draw from their own tribes and histories for inspiration, but from other sources of Mongolian music as well. “There are a lot of Mongolians in Xinjiang, for example. Which is a Western province in China where the Uyghurs are the majority. 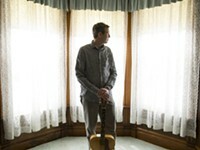 A lot of great songs come from there, too,” Pearce says. Anda Union’s music has been wholly embraced throughout North America over the span of their career, allowing the group to tour regularly in our part of the world. Pearce attributes that, in part, to some cultural similarities. “America has a very strong culture of horses and outdoor spaces. That’s the Mongolian culture - it’s all about horses and all about the grasslands. When we’ve reached out to redneck cowboys in Kansas and in the prairies, they fall in love with the band. And the liberal arts centers couldn’t ever imagine these people coming through their doors,” he says with a laugh. Music is fairly ingrained in the Mongolian culture, as Pearce explains that it’s a culture with strong oral traditions. That means that music has been a central part of the lives of Anda Union’s many members. “All the stories and songs are passed down from generation to generation. They have a very strong sense that if one generation doesn’t pass those songs on, they’re gone. It’s not like they’re written down. So this music is just there, all the time,” he says.